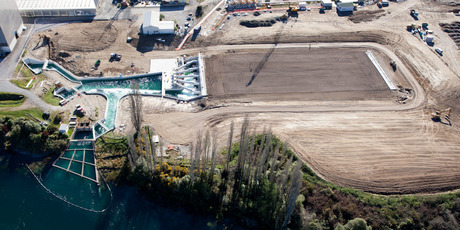 While it may make a fabulous water feature, Wairakei Power Station’s new bioreactor is a serious piece of industrial plant, and a world first. It uses sulphur-oxidising bacteria to reduce the levels of hydrogen sulphide in the power station’s cooling water. The bioreactor’s follows years of trials and a 12-month construction project.